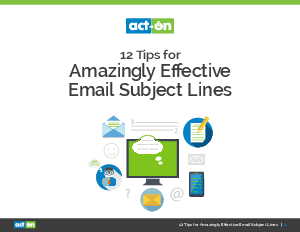 Subject lines can be one of the most important elements of your email program. It’s your first (and maybe your last) impression on your recipients. It’s what determines your email response and engagement. However, many marketers will spend far more time on the content of the email and ignore the importance of the subject line. After all, an awesome email is worthless if it’s never seen. That’s why it’s so important to know how to create amazingly effective subject lines that will get your email opened.